'The Farm' began as a venture into farm forestry after the Collins family (Darryl & Lorraine) had spent 25 years in the timber industry, owning and operating 'Advance Timbers' in Kunda Park, QLD. Purchased from the Keir family in late 1999, this 56Ha property had an extensive history of native forestry, small cropping and most recently as a deer farm. We cleared and tidied up the useful areas and over a period of 5 years, planted 12Ha of mixed-species local rainforest timbers. The business 'Trees for Earth' was established, providing tree planting services as well as tree care products, giving birth to the 'Plant Pink' core flute tree guards that are still available. Growing timber is an on-going project with the aim to create a self-sustaining rainforest with a large population of high-value cabinet timbers. We harvest our own trees, mill them on-site using a portable band saw mill and are working to re-establish markets for once widely-used rainforest timbers. As part of a local growers group (STG - Specialty Timber Growers), we have achieved FSC® Certification as small-scale sustainable timber growers. In 2012, Arakai Estate was awarded the Australian Forest Growers 'Queensland Tree Farmer of the Year' award. The name 'Arakai Estate' pays homage to a significant local timber species that feature heavily in our plantations, the mighty Araucaria. Better known locally as 'Hoop Pine' (A. cunninghamii) and 'Bunya Pine' (A. bidwilii), these majestic ancient trees can be seen towering over the native vegetation across the Sunshine Coast Hinterland and Eastern-Australia. The fresh, young tips of a tea flush are what makes a premium tea. 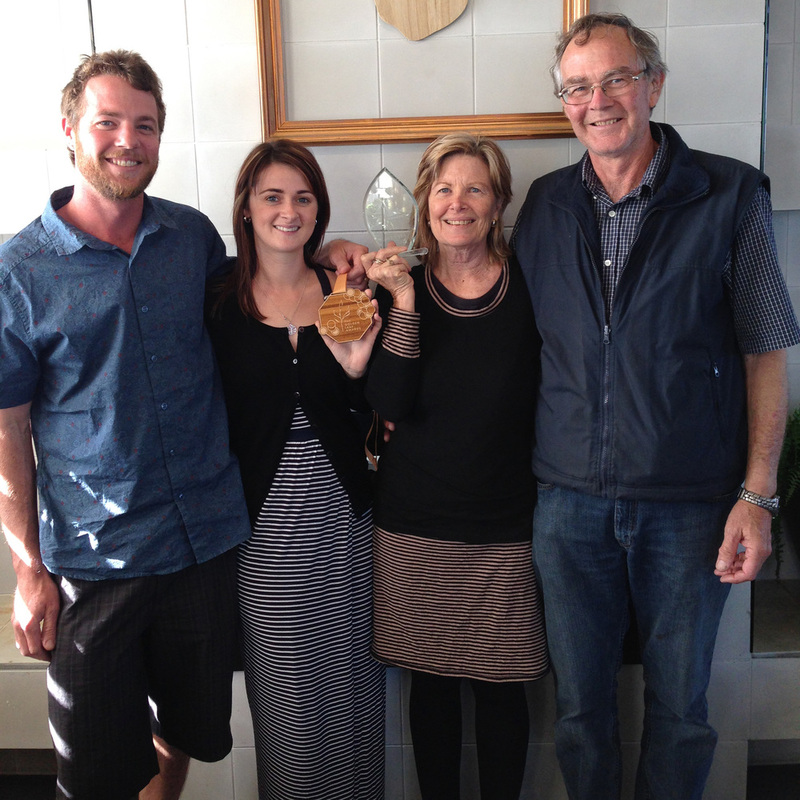 After the management of the property was taken over by the Collins' son Brendon and his wife Kristie, the search was on for a short-medium term, continual harvest perennial crop to compliment the long-term timber, and single-harvest avocados. We have ABC's 'Landline' program to thank for the initial idea of growing tea ! After doing the initial research and testing, it turned out Bellthorpe was ideally suited to growing Camellia sinensis var. sinensis to create a high quality tea. Good elevation & rainfall, fertile soils with the correct acidity and a desire to do something different all contributed to a successful trial plantation. Over 3 years we planted out 1Ha with 12,500 tea plants that included 6 different Japanese green tea varieties. The plantation now has over 5km of hedges that are meticulously maintained to allow for machine harvesting of the freshest tips. Our self-made harvester / pruner. Simple but effective. We traveled to China to find the best suited processing machinery from Kawasaki which is now set up in our purpose-built tea factory on the property. Our family also traveled through Taiwan on a tour focusing on processing tea with farmers in a range of localities. The knowledge gained on this trip was invaluable and contributed significantly to our processing methods and final product. Our first commercial harvest and run of the processing factory was in September 2015. We were ecstatic with the final product and knew then that we were really onto something good. Samples were entered into the Australian Tea Masters' 'Golden Leaf Awards' for the first Australian International Tea Expo in Geelong, Melbourne. Judged by a panel of certified Tea Masters, our teas were put to the test against Australian and International entrants. To our complete surprise we were awarded 'Best Australian Green Tea', 'Best Australian Black Tea', as well as the major prize of 'Best Green Tea' from the International field. It has never been our aim to produce a commodi-tea. 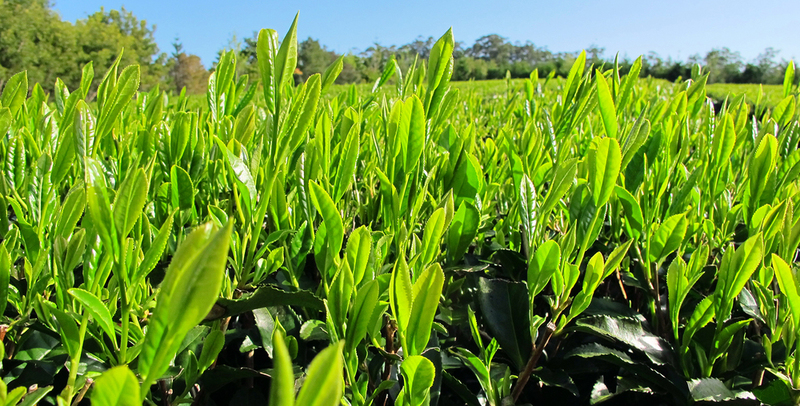 We will remain as a small-scale operation to ensure we produce the highest quality whole leaf tea possible. While we have settled on a specific process to achieve the whole leaf tea that we offer today, we are still trying out new methods to produce different tastes for tea lovers to enjoy. We will be trialing our own blends of flavour infused teas also - keep an eye out for them soon!